Your office staff at Chateau LaVeaux were very friendly and accommodating. Enjoyed our stay very much. Beautiful setting. Room was small but nice. The direction and rules are well explained. It was a positive experience. This was our second time in 6550. Its a great place with lots of room and everything you would need for your stay. It is very well decorated and the beds are great. Woul definately stay again. We did not contact the team. Lovely spot. This is the second time we have stayed at Terrace Point. Beautiful home and nice location outside of town. We were going for quiet and we got it! Nice, decent size house with cute bedrooms. The neighborhood was quiet, and great location close to the lighthouse and Agate Bay Beach. Other than a few minor complaints, we really liked the house. We had so much fun, in fact my 3 year old wants to live there all the time! Everything was comfy and cozy and so well styled. Our only suggestions were that it would be nice to have a dryer on site since we swam at state parks alot and that the bedroom with the one bed needs screens on its Windows. The Cascade website and reservation process were simple and easy to use. The keypad on the door made arriving and getting in a snap! 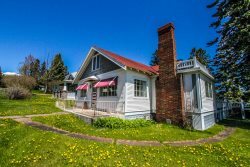 Grand Marais is a fun and beautiful destination and this house is situated perfectly for maximum accessibility while maintaining a quiet and beautiful location. We were sitting on the couch when we heard fireworks down at the beach. We threw our shoes on and walked down there and made it in time for almost the entire show! You were very thorough from beginning to end. Never had an issue with any questions. Keep up the good work! Gorgeous view, beautifully maintained, perfect location. They are really great to work with. Helpful and quick to respond. The maintenance man who came out to address the water leaking was polite and helpful. Very easy to get to from the Twin Cities. The home was beautiful with all the wood and light coming through the windows along the domed walls and ceiling. Loved all the movies that were provided. The furniture was very comfortable. The cabin and the location are just beautiful. We had 3 couples which was perfect. We had great weather except for 1 night/day so we went to the North Shore Winery-That was so fun!! That evening we put a canopy over the deck that we had brought up knowing it was going to rain that day, worked great so that we could still hang out on the deck. There is little to no cell phone coverage. One of the 6 of us has Verizon and that sort of worked-no land line!